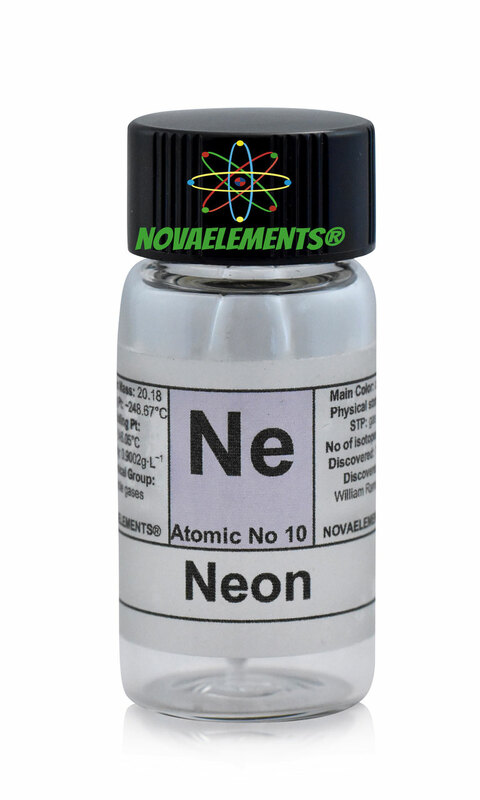 Neon is the second elements of the Noble Gases with chemical symbol Ne and atomic number 10 (Noble gases family consists of He, Ne, Ar, Kr, Xe, Rn; Rn is not in sale cause is highly radioactive and very dangerous for health, the other are not radioactive). 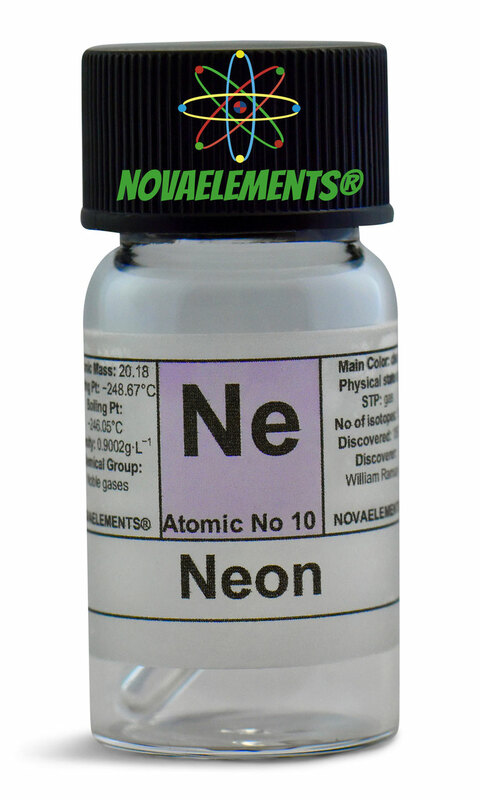 Neon is a colorless gas at normal pressure and temperature. 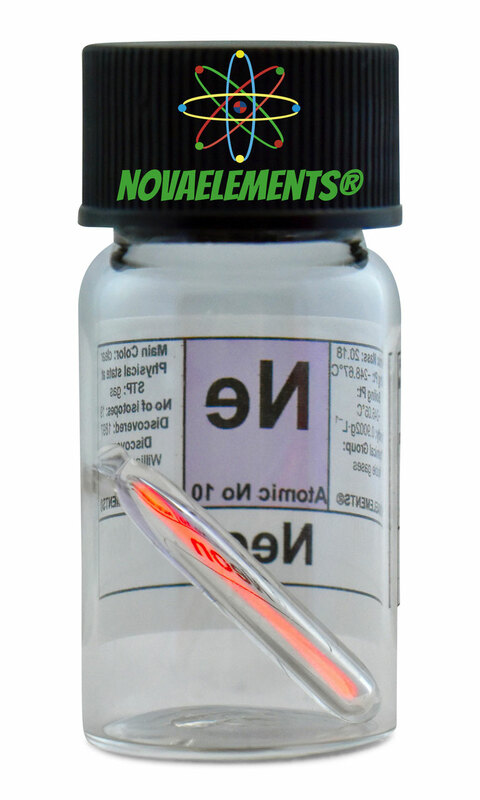 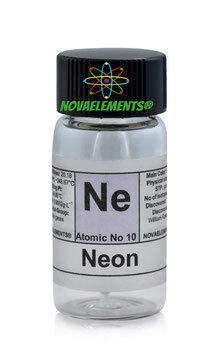 High purity Neon gas ampoule standard pressure, element 10 sample 99,9% inside a glass vial. 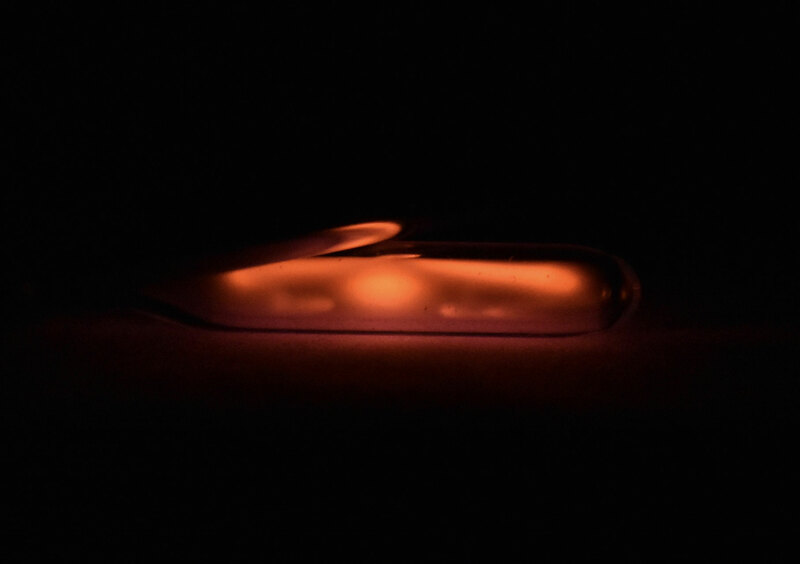 Pure Neon gas element sample. 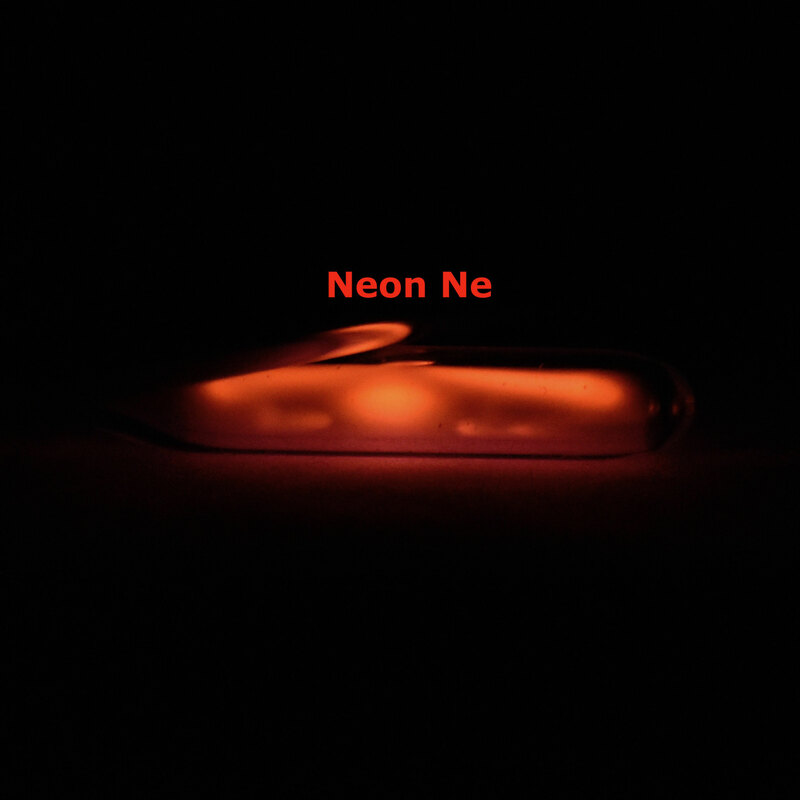 High purity Neon gas in low pressure. It can be illuminated with a 2kW transformer as pictures shows, the transformer is not includes please ask us to buy. 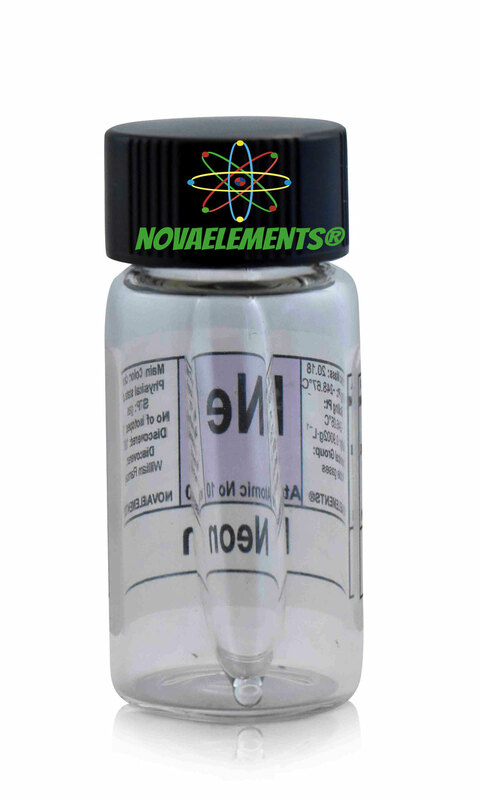 You will find this ampoule only here.